Stop the DJ, pause your iPod and for 2 hours Oct 16 at 9pm watch the second Presidential Debate. 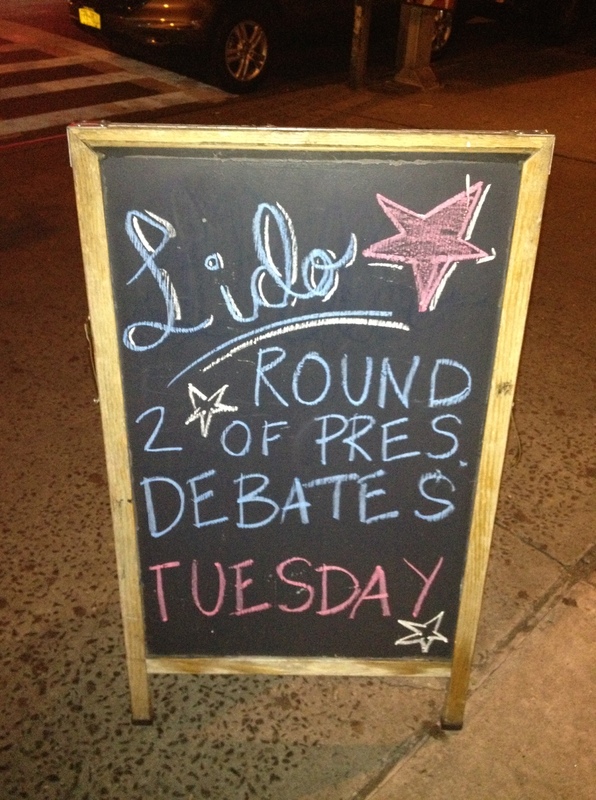 If you are looking for a place, Harlem Food Bar will be one of several showing the debate Tuesday at 9PM here in Harlem. For 2 hours CNN political correspondent Candy Crowley will moderate President Barack Obama and Governor Mitt Romney in this Town Hall style format. For the first debate I was in Miami and asked a buddy/DJ friend of mine “what bar/lounge is the best place to watch the debate here in South Beach?” he said “Why? nowhere” He was right we ended up at our hotel lounge which was lacking quite a bit of… shall we say flavor and was mostly routing for… shall we say the other guy. Needless to say it is great to be back in NYC and specifically Harlem and have as many options as we do to view the debates. 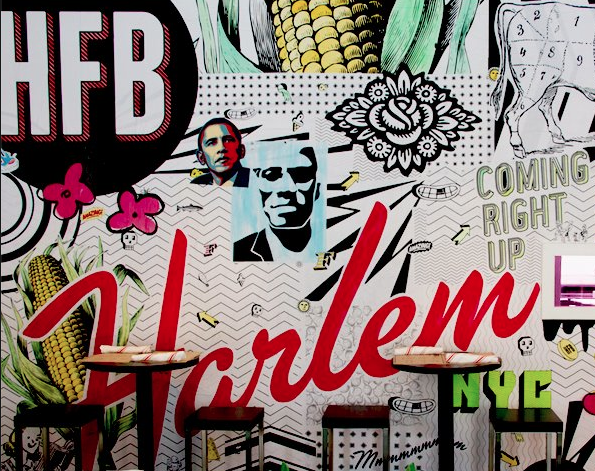 Thanks to places like Harlem Food Bar, Lido’s, The 5 and Diamond, Corner Social and other Harlem businesses that help to keep us informed and send the message that this Presidential Election is an important one for Harlem and for our Country’s future. Thank you to HCL for the post. We have our speakers fully running and waiting for the debates tonight. This is going to be the game changer we have all been looking for. Thanks to all. I wasn’t aware of that. But I’m sure if they are having another one they have fixed the problem.. give them a ring. I went to HFB for the last one but the speakers were messed up so you couldn’t hear well. Yes this is true. Although maybe it won’t be a Republican State this time. Hoping for some good questions at tomorrow night’s debate and some HONEST answers. That is funny (Miami) well even though it is a hip city I’m pretty sure Florida is a Republican State.